Cranford, N.J.-based Weeks Marine, Inc. (WMI) is a family-owned company with roots on the New York City waterfront extending back to 1919. Today, WMI has offices and repair yards in the North Atlantic, Gulf of Mexico, Hawaii and Ontario, Canada. Eric Ellefsen is the President of Weeks. The company has three key divisions – Construction, Dredging and Marine Services – as well as two major subsidiaries, Healy Tibbitts Builders, Inc. and McNally International, Inc.
Jay Cashman is the Founder and chairman of the board at Cashman Dredging. Cashman Dredging’s history dates back to the late 1800s. Over time, the company has evolved and began performing marine construction in the 1970s after the Blizzard of ‘78 destroyed seawalls and jetties throughout New England. Soon, Cashman was performing multi-million dollar projects such as construction of a new marine facility for the Martha’s Vineyard Steamship Authority. Today, Cashman Dredging and Marine Contracting provide an array of integrated solutions ranging from navigational, maintenance and environmental dredging, to pond and industrial dredging. Maxie McGuire is President of Callan Marine, LTD. 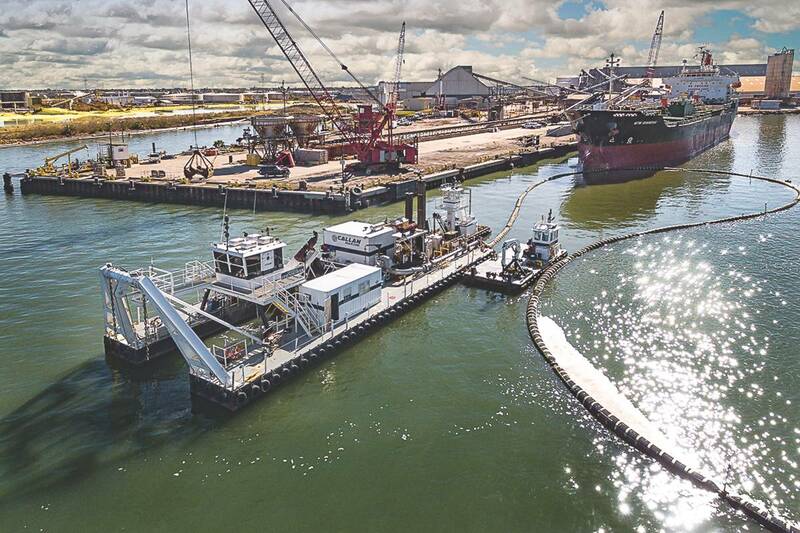 This Texas-based and family-owned dredging business was founded in 2009. Callan Marine performs dredging projects for both private and public clients by providing services to restore berthing depths for ship docks and navigation channels. This year, Callan is partnering with Great Lakes Dredge & Dock Corporation on the San Jacinto River in Houston. Through the ongoing construction of the General MacArthur, Callan Marine will enter into the large dredging market in the areas of major waterways, beach reclamation, and wetland restoration. 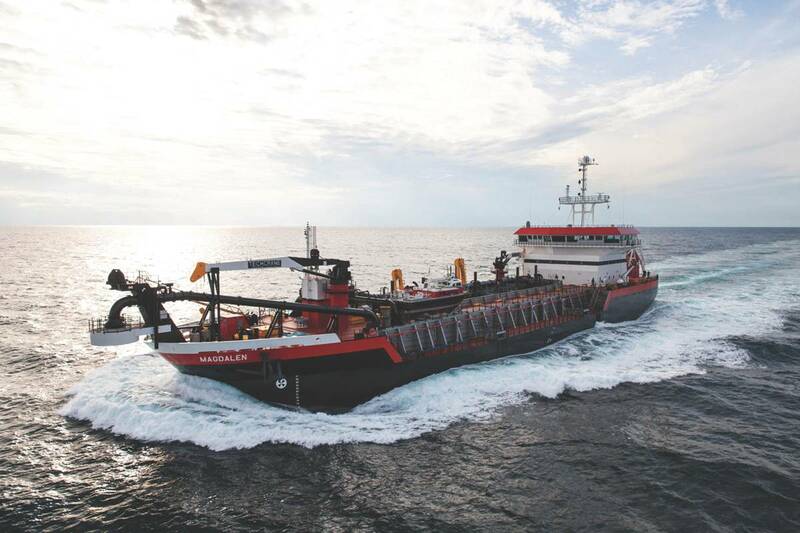 Separately, the recent acquisition of Bean Coastal and their management team will allow Callan Marine to continue its penetration into the dredging industry, as it establishes new standards for efficiency and effectiveness. 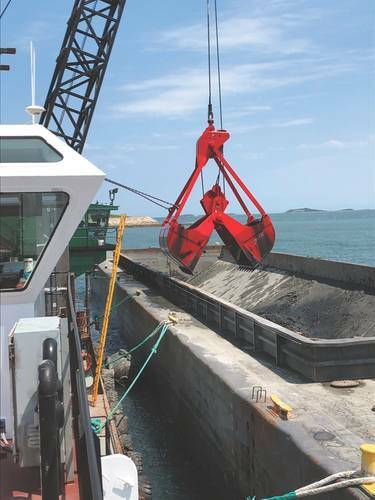 EE: Weeks has been making major investments over the last decade, both in dredging vessels and all the support equipment necessary to perform major dredging projects. Ancillary equipment, including boosters, barges, boats and miles of discharge pipeline are an essential component of any dredging operation. Every Weeks dredge makes use of advanced automation, and ever more powerful and fuel-efficient engines to drive both propulsion and pumps. Our newest hopper dredge, MAGDALEN, just went to work on the Atlantic Coast this year (2018). She was built in Eastern Shipyard, Panama City, FL, and is the size of our two existing hopper dredges combined. She is fast, shallow draft, and can pump out over long distances, thereby reducing the need for booster pumps. We are very happy with her early performance and look forward to seeing all that she will do the years ahead. Both the modernized and highly automated BE Lindhom and RN Weeks will continue to be an important part of our workhorse hopper dredge fleet. We are also building another large sea-going pipeline dredge at C&C Marine in Belle Chase, La.. While Weeks has a large fleet of cutter suction dredges, the JS Chatry will be the most advanced. In July 2012, the CR McCaskill entered our ocean-going cutter suction pipeline dredge fleet. For the last six years, she has been working almost non-stop on projects around the country. The Chatry builds on the capabilities built into the McCaskill and will join our fleet sometime next year. The use, placement and disposal of dredge materials can be a hot issue. Often, that decision has been made during the pre-project EIA and is out of your hands. How, if at all does a commercial dredger get involved in these issues? JC: Cashman is the premier bucket and environmental dredging company in the United States. We have bucket dredge sizes of 4 yards to 50 yards; two backhoe dredges of 5 yards to 18 yards; one hopper dredge; and five environmental bucket dredges. We’re proud to have completed the largest environmental remediation dredging project in U.S. History – the Upper Hudson River PCB remediation project for GE. Aside from environmental, Cashman does all types of dredging including navigation (Arthur Kill Channel for access to Port of NYNJ), beach renourishment (Florida) and pond & industrial work (Maryland). IB We own three small cutter suction dredges (General Pershing (18”, 1,565hp), General Patton (16”, 3,000hp), and General Eisenhower (12”, 1,500hp), sized 18”, 16”, and 12”. Our dredges have the capability to dredge to 56’ and have dual dredge pumps for maximizing efficiency. We specialize in deep draft ship dock dredging; both new work and maintenance. MM: Our work is a mixture of government and private work, with private being approximately 75 percent of our work this year. In 2019, that will shift to a 75 percent government share, given the size and production capacity of the General MacArthur.